This is another funky Google search feature that I never knew about. 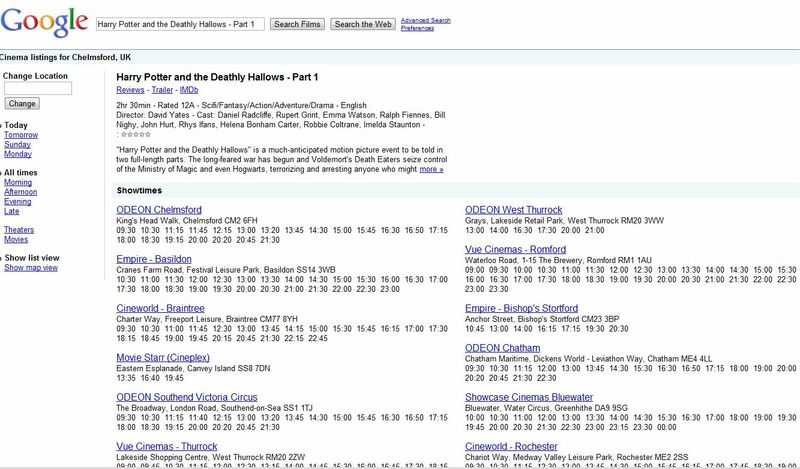 I just searched for “Chelmsford Odeon” the the search result brought up a Google page that listed all the showings of the film I was looking to watch. Below that was a choice of films for Chelmsford Odeon. 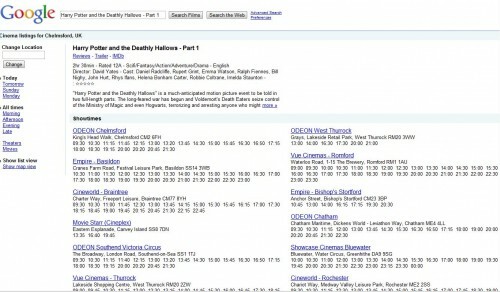 Click a specific film showed more information on Chelmsford Odeon plus times of showings for cinemas in the geographical area. Amazing stuff. Oh, and there are links to the official trailers on YouTube and the IMDB page for the movie.